This plugin integrates Paymill payment gateway with J2Store. You need an account with Paymill to choose this method. If you have/create one, you will be provided with private and public keys for facilitating payments. You need to enter them in the respective fields. In these payment types, unlike Bank Transfer or Money order methods, the customer has the option to cancel the payment. 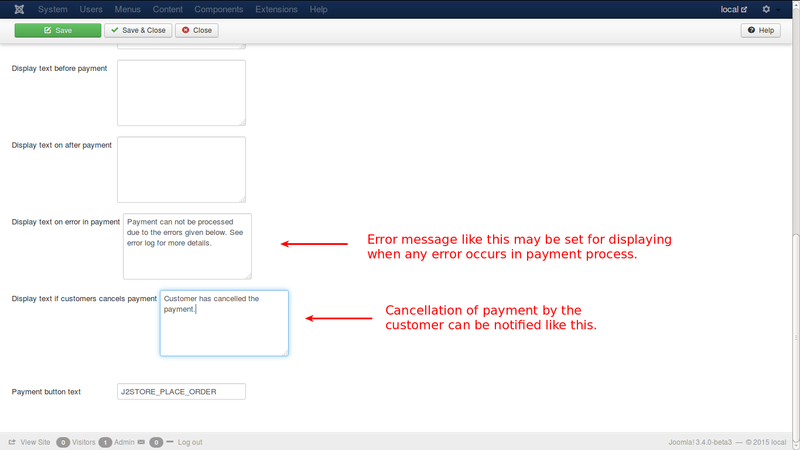 Also, if any error occurs during payment process, that will be logged. These will be notified through the additional text boxes provided. Check the image below. Enter your live account's Private API Key. 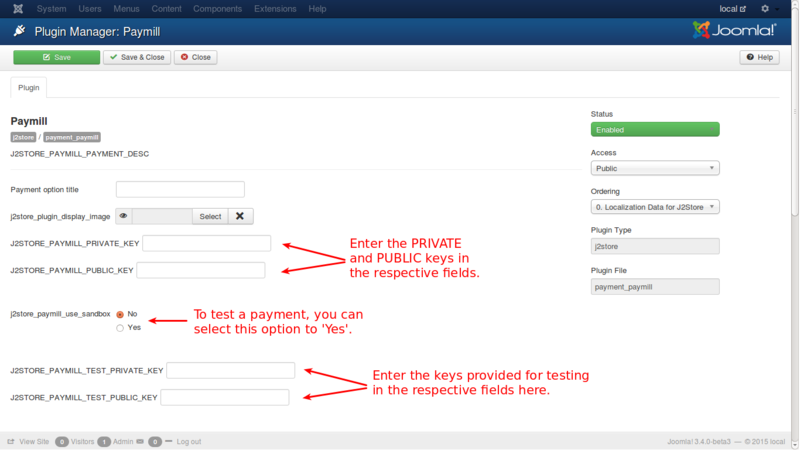 This option allows you to test the plugin with Paymill in test mode instead of the live one. IMPORTANT: NEVER ever set this to yes when your shop is live. Enter your test Private API Key here. This is the test public key to be used while testing the shop. You can find these keys under your account settings.